2014, 2015, and brought the varsity wrestling three conference titles in a row. In 2017 the team won regionals and placed second in conference. Since 2011, the team consecutively qualified athletes to state. 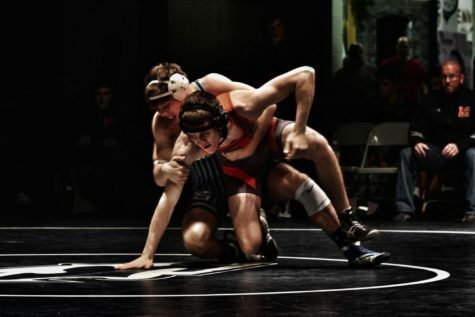 “[Wrestling] has been one of the most successful athletic programs we have had in this school from year to year,” Principal Bob Yanello said. 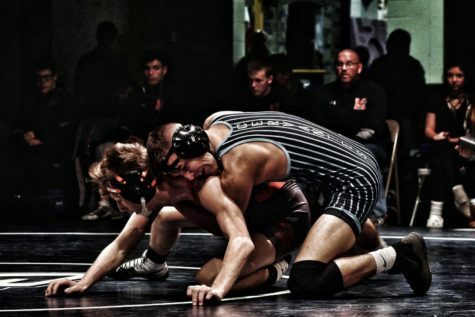 This season, the coaches adjusts practices by combining varsity and JV levels and split between upper and lower weights. They hope to exceed past previous successes and keep up their hard work. “We want to give JV a look at what we’re doing instead of them seeing only what JV does, but seeing what varsity does, so they try to practice as hard as us and try to work towards getting on the varsity team,” Andrew Cervantes said. The team hopes to teach the JV team what varsity is all about. Acevedo instructs his boys to take the sport seriously, but also teaches the appropriate times to have fun. Acevedo wants his team to be successful in both wrestling and in life, as some of his players will be advancing to college following this season. “We want to keep developing these athletes to the next level and see them go to college,” Acevedo said. Acevedo explains this season that the team has a strong influence from the seniors. The seniors want to set an example to the younger athletes, so they can prepare them to continue South’s legacy. “I set an example for the younger kids in the practice room by not messing and knowing it’s about business,” Jake Kendall said. The seniors serve their team through the leadership they demonstrate. The boys wrestling team displays pride and strength this season performing the difficult tasks it takes to be a wrestler at South. Acevedo and two of his senior athletes, Andrew Cervantes and Jake Kendall, share the challenges they accept as wrestlers. For being a student athlete, balancing both aspects of academia and sports can sometimes be challenging. The boys have to cut foods of high fats and sugars to keep their weight down, even dehydrating themselves to achieve their weight. “When I go to school, I have to watch out for what I eat and stay awake in class, due to having low energy,” Cervantes said. 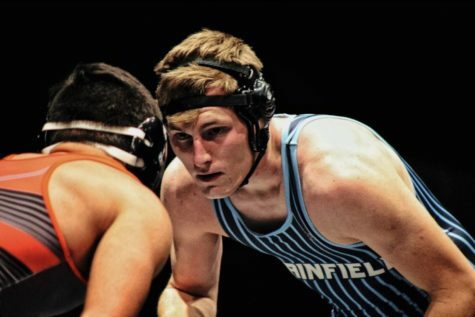 The boys wrestling team have a challenging yet exciting season ahead of them, as the team has been successful in previous years from winning conference championships, regionals, and sending athletes to state. A lot is being expected of the team this season, as the boys began practice in early November. “We have a lot of talent coming back into this program, the expectations are high, both as a team and for these individuals to advance to state and continue doing what they’ve done again in past years, so I look forward to seeing them,” Yanello said. We will see what the Cougars will bring to the mat this winter. 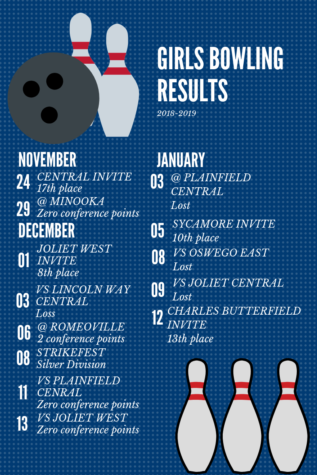 Their next match will be on Dec. 13 in the auditorium versus Plainfield East.